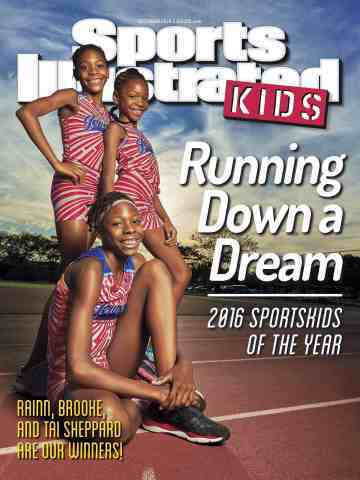 Brooke Sheppard, of Brooklyn, New York, the 2016 SportsKids of the Year. and the new cover and SportsKid feature are available online now at SIKIDS.com/skoty. the presenting sponsor of the SI Kids SportsKid of the Year program. mother after having been evicted from their apartment in September 2015.
playing the piano and performing in school plays. Rainn, who returned from Houston with a gold medal in the 3,000.
who placed second in the high jump in Houston. James, Eli Manning, Dominique Dawes, Michelle Wie, Bryce Harper and more here. wrote a book about what Conner and Cayden have taught her. plays tennis for the University of North Carolina. 8 and up, connects with its readers through their passion for sports.